The Sygic released their Maps 10 with the support for Nokia’s Symbian^3 devices such as Nokia N8, Nokia C7 and Nokia C6-01. It’s an alternative GPS walk or drive navigation mapping system that we also get from Ovi Maps. It also features in 3D view and packing of enhance route searches, detailing on sign post, lane assistant, more points of interests, inter-road passage and house contours for accuracy on small mapping. 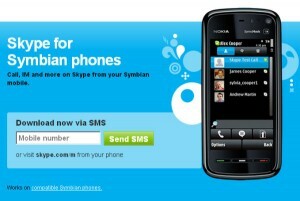 Skype gets updated to a new version and now supporting Symbian^3 devices and bringing new feature on audio quality. It’s absolutely free to call and IM with Skype to your device provided you just have to connect your phone to 3G or Wi-Fi. But international calls is different where you need to purchase credits which is cheaper compare to actual network data pricing. 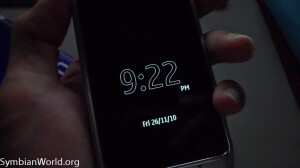 Symbian^3 offers the latest screen saver on devices that gives some lively scenes in your phone’s screen when it’s locked, specifically for AMOLED screens capable like the Nokia N8. 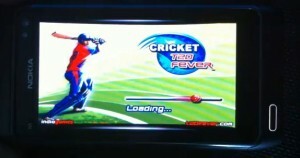 Another awesomeness has arrived on Nokia N8 and it’s none other than, Cricket T20 Fever 3D. The new game in town for Symbian^3 that brings quality graphics and marvellous gameplay that everybody wants since the start of Ngage era. The game also delivers versatile game options and features which enhances your gaming experience. Such of those is the big numbers of international teams that are available with world class cricket overall.